Saturdays first game features 2 sides who’ll be looking to make the playoffs this season, with FC Anyang hosting Suwon City FC. FC Anyang had an awful end of 2014 and finished in 5th just outside of the playoff places. 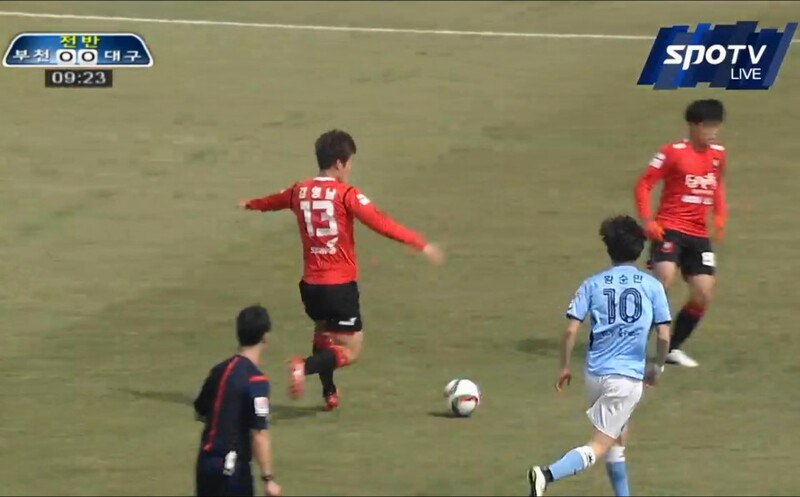 Suwon City FC finsihed just behind them in 6th and seem to be improving slowly year by year. This is a hard one to call as these sides look even on paper, and therefore we’re siding with a draw. Saturdays 2nd game is between Bucheon 1995 and Daegu. Bucheon 1995 finished bottom last season (the second season straight) and will look for any improvement this season. Daegu finished a disappointing 7th last year and are certainly a side suffering from relegation from the K League Classic. On paper Daegu look to have the stronger squad, however Bucheon are often surprising at home and we’re giving them the edge. Saturdays late game sees Sangju Sangmu host Gangwon. Sangju Sangmu the 2013 K League Challenge champions are back after struggling in the Classic last season. Gangwon finished 3rd last season and lost in the playoffs vs. Gwangju. Sangju Sangmu will be a force in the league this season and should be their first 3 points. Sundays early game features the two sides who might struggle this season with Chungju Hummel hosting Goyang Hi. Chungju Hummel finished 9th last season and had the worst defensive record in the league. Goyang Hi were just 1 place higher in 8th, and had the lowest average attendance for the 2nd season straight. These sides might not be in the promotion picture, but they are often involved in entertaining games. We see this being an entertaining victory for Chungju. Gyeongnam finished 11th in the K League Classic last season, and were relegated via the playoffs. Ansan Police finished runners-up last season and will be looking to go one better this year. Both sides will be similar in strength and therefore a draw seems a likely outcome. 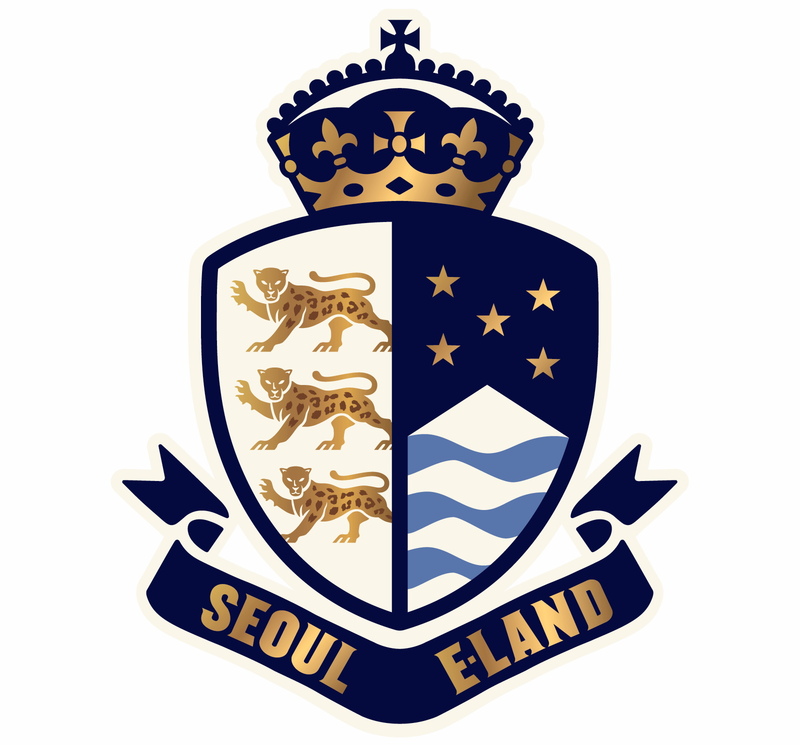 Seoul E-Land FC are set join the action next weekend. KLeague Classic and Challenge Picture in Picture Naver. 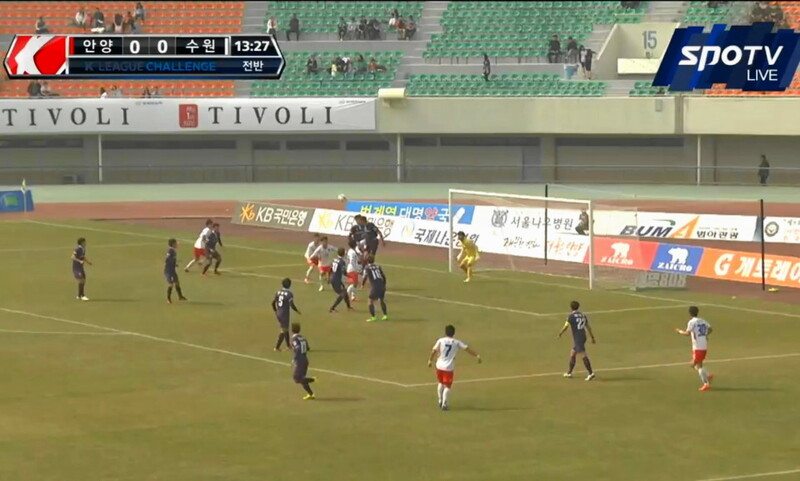 Anyang scoring in the bottom right. Three correct results with one perfect score from this weekends 5 games.